If I said Joseph Heller to you, what’s the first thing to come to mind? What if I just said “Catch 22”. Some of you would probably say its a paradoxical situation from which there’s no escape. While quite a few would think yep read it or its on my “To Be Read” list, because that’s what Catch-22 was. A cult book (if not THE cult book) of the ‘60s. Every self-respecting student had a copy. It’s title is now part of the English language. The paperback edition set sales records. It’s one of the best-selling novels of the 20th century, having sold over 10 million copies. I first read it in the ‘70s and remember it as being zany, hilarious and hard-hitting. When chosen as our bookclub book recently, I was delighted – imagining hours of laughter and entertainment. I was sorely disappointed. And it wasn’t only me. Several other avid bookclub readers couldn’t generate the interest or enthusiasm to go beyond page 150 (of 536). Why? Because Catch-22 is a book of it’s time – for it’s time. Set in the second World War, the book’s main protagonist, Yossarian, is a bombardier whose life is more threatened by the machinations of his superior officers than by German anti-aircraft gunners. Yossarian’s commanding officer, Colonel Cathcart, who is solely interested in his own career advancement, continually increases the number of bombing missions his men have to complete before being discharged. 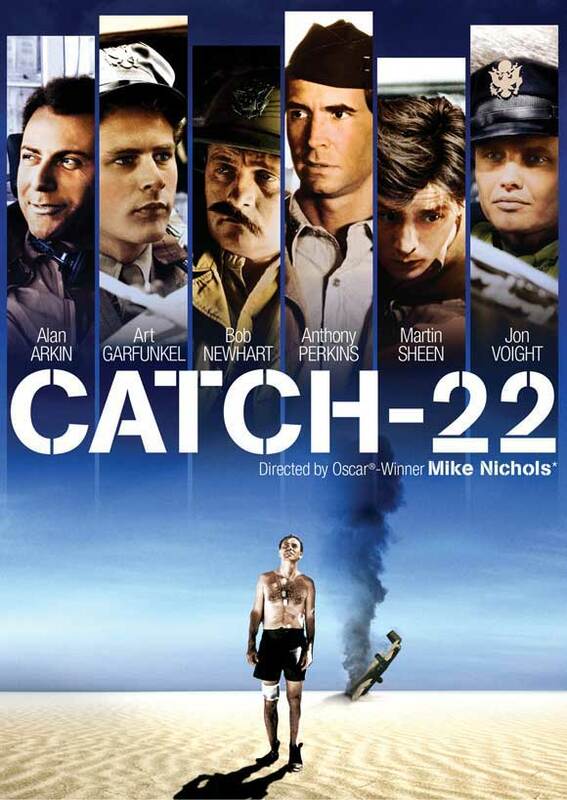 If Yossarian was crazy he could be discharged on medical grounds but – the Catch 22 – in the situation he’s in, claiming to be crazy is proof of his sanity. Heller’s depiction of the predicament that Yossarian and his fellow soldiers find themselves in is sometimes poignant, sometimes insightful and – most of the time – over-the-top, slap-stick-style satire. This works for about the first 100 pages but then becomes repetitive, relentless and boring. Also up there with the best is the doctor’s predicament when the plane he was supposed to be in (but wasn’t) was shot down. As there were no survivors, he was dead. The army record said so. When his wife, after a period of mourning, received the widow’s pension she and their children moved home – without leaving a forwarding address. But the true hero of the book has to be Yossarin’s tent-mate, Orr, the “happy and unsuspecting simpleton” who ditched his plane in the sea on virtually every mission. Though he worried about Orr’s ability to look after himself, Yossarin (understandably given Orr’s record) avoided flying with him, despite Orr’s repeated requests that he do so. But it was Orr, the simpleton, who successfully beat the system by ditching his plane (safely, having practiced this to perfection) and rowing to neutral Sweden using the plane’s emergency dinghy. A true subversive! 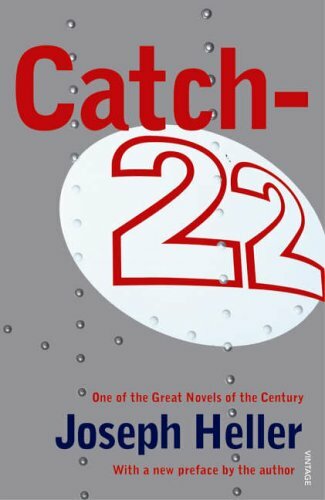 Catch 22 was American author Joseph Heller’s debut novel, he first had the idea for the story in 1953 when the opening lines came to him while sitting at his desk one day, within a week he’d written the first chapter and sent it to his agent. He only started to write the rest of the book a year later . The book was finally published in 1961, not before the title which was originally Catch 18 was changed to 22 so as not to be confused with Leon Uris’s Novel Mila 18. After that he went on to write five other novels including a follow up to Catch 22 called Something Happened, in 1971. He wrote a number of plays and TV scripts most of which had a an anti-war theme to them. In 1981 Heller was diagnosed with the debilitating illness Guillian-Barre Syndrome, after a prolonged period of recovery he married his nurse. The book was made into a movie in 1970, directed by Mike Nichols and starred Alan Arkin as Yossarian with a supporting cast of Art Garfunkel, Bob Newhart, Anthony Perkins, Martin Sheen and Jon Voight. 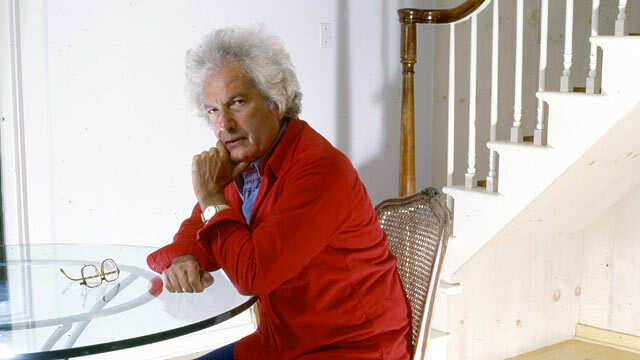 Heller died in 1999 shortly after the publication of his last novel Portrait of An Artist, As An Old Man. Unfortunately, in terms of readability and relevance Catch 22 has not stood the test of time. As a satire it definitely hit the funny-bone of its time and its zany comic style was echoed in many subsequent comedy classics including MASH, The Rowan and Martin Laugh-In and Monty Python. But times have changed. Lack of reverence for authority is now so much part of our culture that it is difficult to even imagine the pre-‘60s world where anyone in a position of authority was automatically deferred to, no matter how inept or self-promoting they were. However, as a portal through which we can get a flavour of how it felt to BE in the ‘60s the book does deserve its position as a classic of the 20th century. And no matter how jaded the reader or how out-of-date the writing style, nothing can take from Heller the highest accolade of all – it is a book that changed it’s world.